Today I’m linking this update on summer reading post up to Modern Mrs. Darcy’s Quick Lit. Check out lots of other quality recommendations on her page! 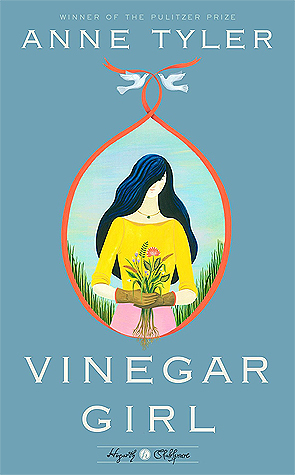 Vinegar Girl, by Anne Tyler – If you’ve ever read an Anne Tyler book and thought “Her writing is so beautiful, but I’m at the end of the book and I still don’t know what it’s about!” then this book is for you. It has a definite plot with a beginning, middle, and end. I think of that as a plus, as much as I admire Anne Tyler’s other books. Vinegar Girl is a modern retelling of Shakespeare’s The Taming of The Shrew (remember that 90’s movie, Ten Things I Hate About You? Also a retelling of that same play). In this retelling, the main character, Katherine, is a grown woman, but this book definitely has a Young Adult feel to it. It’s short and sweet and very clean, but some of the themes Tyler weaves in it might just stick with you. Anyone could enjoy it, and English teachers everywhere should definitely check it out. The Friendly Air, by Elizabeth Cadell – I’ve discovered Elizabeth Cadell and my summer just got ten times better. I know there are way too many reviews about all sorts of books that say things like “This writer is a modern Jane Austen!,” and I’m about to add another one. Cadell really does write lighthearted yet interesting books about quality characters whom you will end up liking. This one was published in 1970 but it has a timeless feel. It’s about a young woman, Emma, who strikes up a friendship with an older eccentric woman, bound and determined to move to a warmer climate. She somewhat randomly picks Portugal and sets up Emma as her moving assistant. Of course, Emma becomes much more and adventure and romance ensue. 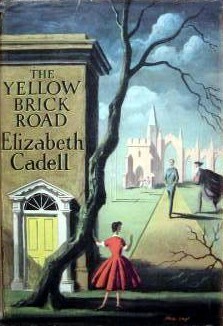 The Yellow Brick Road, by Elizabeth Cadell – My second Cadell book, and completely different from the first. This one is a mystery that starts with Jody, a sensible young lady, falling down some stairs during a job in London and waking up with the solid but mysterious knowledge that things are not as they seem. She is sure she did not simply faint and fall down some stairs, but it seems like no one wants her to know what really happened. As she pursues the truth and gathers allies along the way, the cozy world she took for granted is entirely changed. I read this book from start to finish in one day (on a sick day). It’s a great summer read! 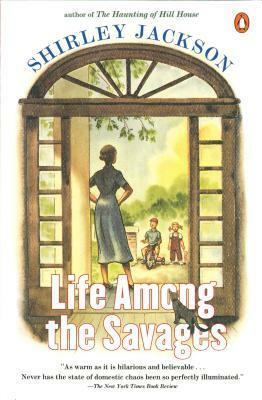 Life Among the Savages, Shirley Jackson – A few weeks ago, I was losing my sense of humor in mothering. Everything felt overwhelming, from getting my children to do their chores to dealing with bullying. I picked up this book and was saved. The beginning is a little slow, as Jackson sets the scene for where her family lives and works, but pretty soon Jackson had me laughing out loud over her account of shopping in a department store with her two children, or her attempt to make coffee while in labor with her third child. I can see myself reading this again in about five years. I need a whole slew of this type of books! Mothering is serious business, but if I can keep laughing as I go along, I might just make it. 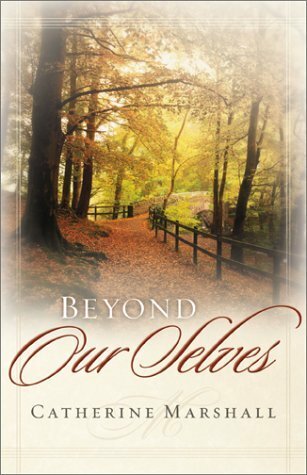 Fans of Elizabeth Elliot will find a lot to like about this book. I snagged the copy I own on a whim when our church library shut down and gave away all its books, but you can easily get a copy for about $4 off of Amazon if your local library doesn’t have it. That sums up what I’ve been reading lately! Found any gems this summer? Let me know in the comments! You read so many interesting books! 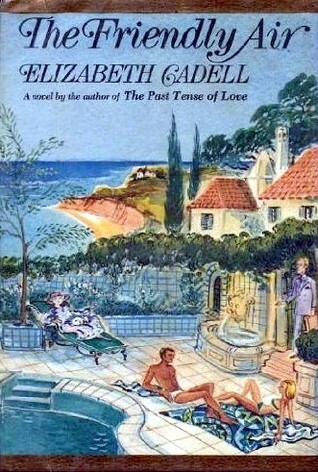 I have not heard of Elizabeth Cadelle and if she is known as the modern J.A., then I MUST check her out! Which would you say is a good book to start with? I wouldn’t say she is known as the modern J.A., only that that’s how I’d describe her. 🙂 I read The Friendly Air first, and it was a good start. I hope you enjoy it!